East Side Mario’s Canada Offers: DON’T MISS $2 TUESDAYS! Bring the whole family on Tuesday, kids aged 12 and under eat for only $2 with each purchase of an adult entrée! Includes all Kids Eat Big meals, Mario’s Chillers and Mario’s Super Sundae! If you’re looking for an excuse to give your kitchen a break, this is it! Dine-in only. You made it to Wednesday! 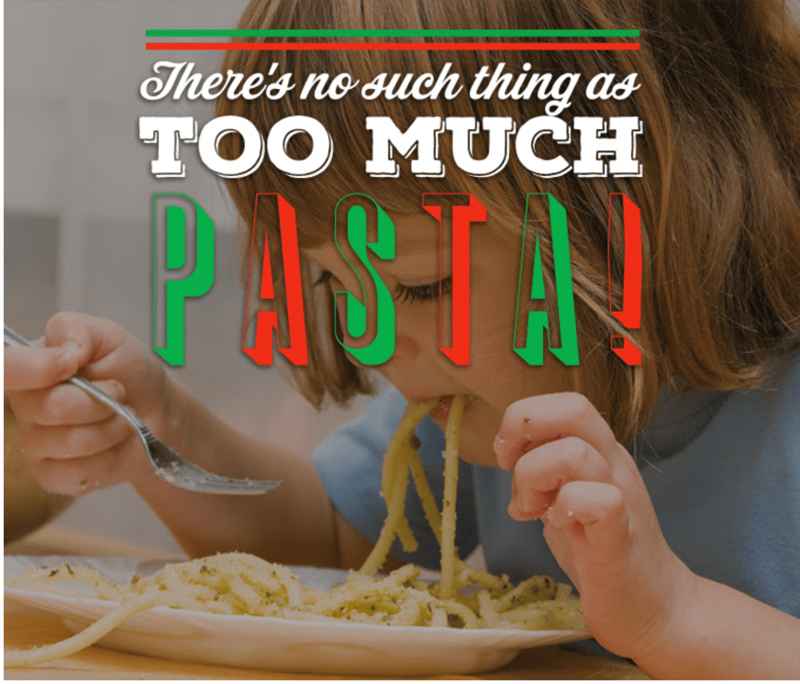 That definitely calls for ALL of the pasta! Eat all of the pasta you can every Wednesday for only $11.99 including All-You-Can-Eat soup or salad and garlic homeloaf. Mangia! Dine-in only.